To celebrate 70 years of creating innovative products for babies and in support of the March of Dimes, Kolcraft Enterprises, Inc. announces the launch of the "For the Love of Family Nursery Project," where they will build a new nursery for a family in need. Kolcraft fans will vote on the nursery furnishings that Kolcraft will donate while having the opportunity to win prizes for sharing their votes. The nursery project allows Kolcraft’s fans and followers to actively participate in the design of the nursery which the company will donate to a family in need. Millions of babies are born prematurely each year worldwide, about 380,000 in the U.S. alone. With the stress and the time away from home supporting a premature infant in a hospital, many families do not have time to create a safe nursery space for their child. Kolcraft has partnered with the March of Dimes for the past three years, donating over a hundred thousand dollars and hundreds of volunteer hours to support families affected by premature births or children with birth defects. The nursery project allows Kolcraft’s social media fans and followers to actively participate in the design of the nursery and win prizes by voting on which furnishings the company will donate. Fans have the opportunity to not only win gift cards for their participation in the nursery vote, but can also share their stories and well wishes for families in need on Kolcraft’s social media sites throughout the year for bonus prizes. 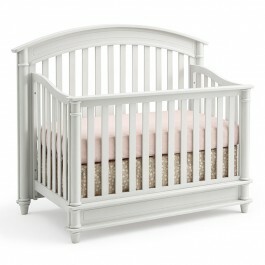 Kolcraft’s story began in 1946 in Chicago when founder Leo Koltun began making pads for cribs, playards and high chairs. 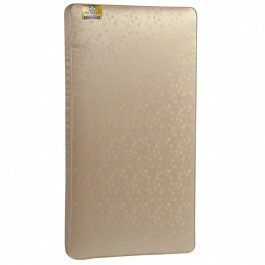 Kolcraft soon became the largest crib mattress manufacturer in the USA with Leo’s son Sandy running the business. Today, Kolcraft is still the leading crib mattress manufacturer in the USA, producing crib mattresses under the Kolcraft®, Sealy® and Stearns & Foster® brands. In addition, the company offers a successful line of award-winning baby gear and nursery products including strollers, cribs, dressers, activity centers, bassinets and bedding. Kolcraft has maintained its family roots, with third-generation President Tom Koltun leading the company and its dedication to families. Families can visit http://www.kolcraft.com/family-nursery-project, #4theloveoffamily and #kolcraftturns70 for more information about Kolcraft, the March of Dimes, the nursery project and various promotions throughout the year.